The next 6 sessions add skills, depth and connection to your circle, bringing you through the 12 sessions you’ve committed to. Then you step back to review how your circle has been launched and decide how often to meet going forward. You will have formed a solid team, a circle around each of you. Step-by-step, you and your circle engage in this new-yet-old way of gathering and build the unique culture of your circle. Circle made easy! How CirclesWork! will be available for purchase end of January, 2014. 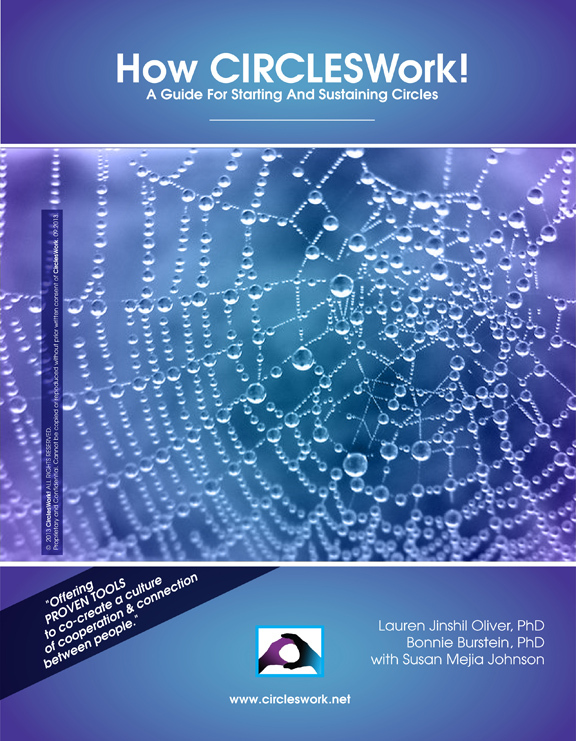 Announcements will be made in January, to enable you to buy this helpful guide for a self-led circle. Sign up now to receive the announcement as well as our informative CirclesWork! periodic newsletter. Sign up for our mailing list (or update your profile) to receive CirclesWork! updates and special event and training invitations. Why Beloved Community? Why Circles?